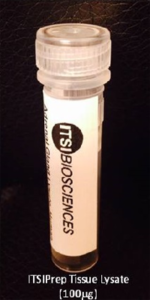 ITSI Biosciences offers ITSIprep ready-to-use lysates of human tissue. Each panel contains multiple tissues/organs. All samples are collected under IRB approved protocols using current Best Practices. The tissues are flash frozen and stored in liquid nitrogen until processed into lysates. The high-quality lysates are produced in a modified RIPA buffer with an added protease inhibitor cocktail. The protein concentration of each lysate is precisely determined using a modified Lowry assay and the quality is determined using the Agilent BioAnalyzer. 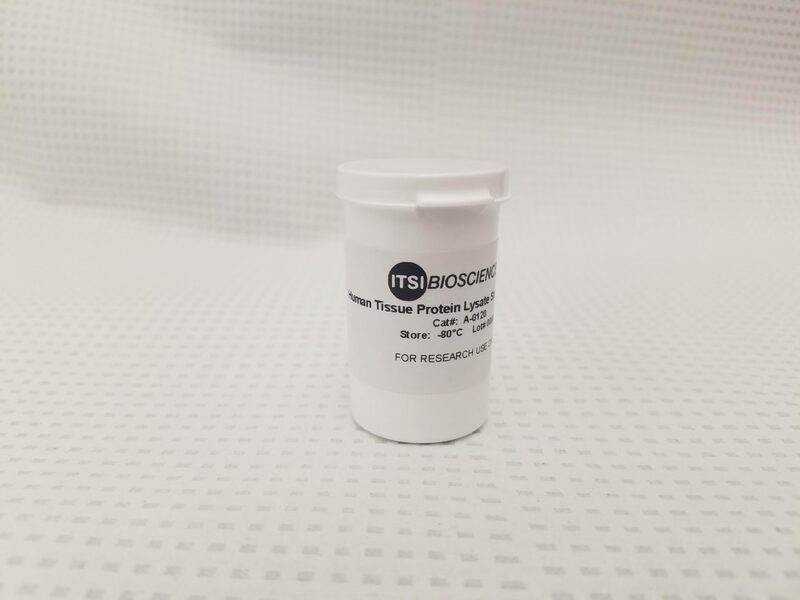 The ITSIPrep lysates are useful for a wide range of applications, including use as standards or controls for SDS-PAGE, 2D-DIGE, mass spectrometry and Western blot analysis. All ITSIPrep lysates are supplied in 100ug. If the tissue or species you require is not available let us know, and we can obtain the tissue you need. Also check our website periodically as we are always adding more tissue types to our stock. The following human protein lysates are in stock, Lung, Heart, Spleen, Adrenal Gland, Trachea, Pancreas, Thyroid, Breast, Myometrium and Duodenum.